Spending adequate time preparing to write your employment materials can save you many headaches in the drafting process. This section of the chapter covers strategies that can help in your job search. Job boards: browse sites like Indeed, CareerBuilder, Glassdoor and Monster to search for jobs in your field. 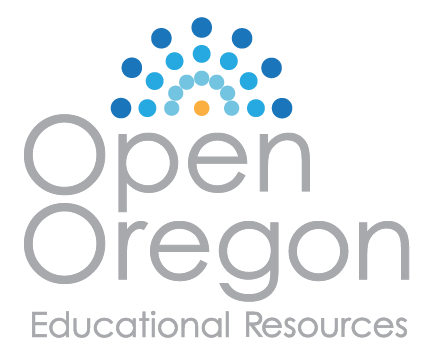 Company, organization and government web sites: visit the employment section on websites of companies you admire; search federal, state, county, and city websites for job government job postings. Your own network: talk to friends, past employers, and professors or visit LinkedIn to search for openings at companies in your network. Your college: visit your college or university placement office/career center and attend job fairs hosted at your college. Many job seekers also use craigslist to look for work; just be aware that craigslist postings often lack detail and may come from headhunters or placement agencies, rather than from the direct employer. Once you have found a job, make sure to print and/or save a copy of the job posting or job description. You will use this document to help you tailor your application materials. Because companies often delete the job posting once they have received sufficient applicants, it is important that you save your own copy of the document by copying the text and pasting it into a new document, or by saving the webpage. As you work on your resume, you may worry that you have nothing valuable to include, or you may worry that you are “bragging.” One way to get over these hurdles is to allocate pre-writing time to a self-inventory. Brainstorm your skills, accomplishments and knowledge. What did you accomplish at work, school, or a volunteer position? What skills have you learned? What would you tell a friend or family member you were proud of having achieved there? Start writing down key terms and action verbs that describe your experiences and accomplishments, and don’t worry yet about putting them into a résumé format. For help brainstorming action verbs that describe your skills, browse a key term list such as the one below. First, scan the groupings of skills (Communication Skills, Creative Skills, Financial Skills etc.) for key terms related to skills you have or work you have done. Then, write down 1) categories of skills you have (again, Communication Skills, Creative Skills, Financial Skills etc.) and 2) action verbs that describe skills you have or work you have done (e.g. analyzed, performed, calculated, advocated, etc.). Table adapted from Creating Resumes I by Roads to Success, licensed under CC BY-SA 4.0. As you gather information about your work history and skills, double check that your information is accurate and current – gather dates of employment, dates of trainings, lists of activities you have been involved in, academic awards, achievements and special projects. Job descriptions or performance reviews from previous jobs can also include key terms to include on your resume. Finally, ask former coworkers or managers about your significant workplace contributions. Get a partner and a piece of paper. Take ten-minute turns speaking and scribing. The speaker should describe past work history and experience, especially as it relates to the job at hand. The scribe should take notes while listening to her partner’s description, taking care to note any key terms she hears. The scribe should also ask questions that help the speaker go into detail about the experience (who, what, when, where, why?). Finally, the scribe should help identify any skills or achievements the speaker may not realize he or she has; sometimes we have a skill that we don’t recognize, because we assume it is something everyone can do. Then, switch. It is important that you research your potential employer as well as the job for which you’re applying. The easiest way to research a potential employer is to visit the company’s website. Look for an “about us” page or a “mission statement,” and observe how the company describes its goals and values. Whom does this company serve? Who are this company’s partners or competitors? What technologies would I use at this company? What is the tone of this company’s materials (formal, conservative, humorous, “cutting edge,” etc.)? How would you describe this company’s brand? Here are a few more ways to research a company: search for its name on LinkedIn and other social media sites, browse for news articles about the company or press releases written by the company, speak with friends or colleagues who work for the company, or call the company to request an informational interview. What do you admire about the company? Where do your values and interests overlap with those of the company? What makes this company a good fit for you? Try to summarize your connection to the company in one sentence. Remember that your potential employer is also your audience, and adapt your tone, examples, and level of technicality accordingly. To research the job itself, take advantage of the job description you have found. The job description is your secret weapon; in this document, you are told what the employer is looking for in a candidate. Highlight or underline any qualifications that you hold — any skills you have, technologies you’ve used, etc. Make note of any past achievements that relate to any of the preferred qualifications. For example, if the job description seeks a candidate who can diagnose and solve technical problems, write down an example of a specific time in which you did so in a professional or academic setting. Note any questions/uncertainties and any qualifications you do not have in order to decide what to highlight and what to downplay in your materials (as well as what you need to learn more about). Make a word cloud of your job description, using a site like www.wordle.net (you will cut and paste the text of the job description into a word cloud generator – note that you might have to try a few different programs before you find one that’s compatible with your computer.) A word cloud presents text as a visual display, reorganizing content so that the largest words are those that appear most frequently (see Figure 1). A word cloud can be a helpful visual tool to identify key terms to use in your resume and cover letter. You might also be surprised to find that a “big word” (a commonly repeated key term) is one that you would not automatically associate with the job. 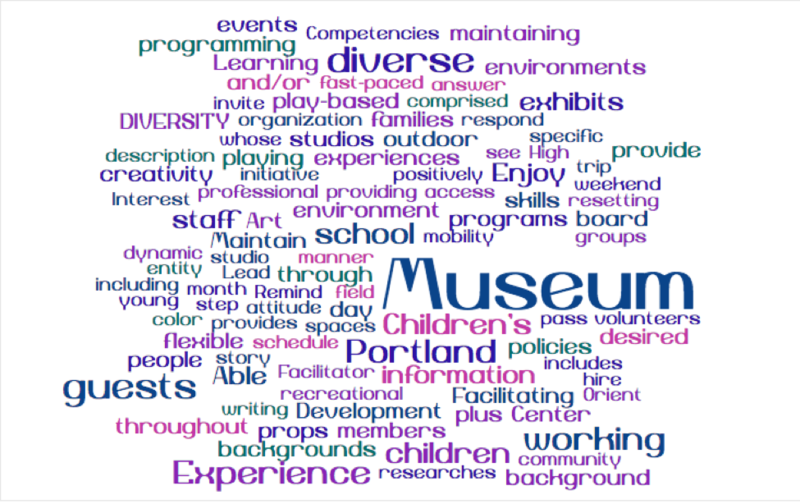 In Figure 1, below, we see how some of the words are obvious terms we would expect to find in a children’s museum job description – museum, children, exhibits, playing, etc. However, diversity” and “diverse” are both large terms, too. If you were applying for this job, you would now know to talk about your commitment to diversity/experience working with people from diverse backgrounds.